So I’ve been on a soup kick the last few weeks because it’s rainy and chilly in San Francisco. But I just wanted to share one more that I tried from Soup Junkie, a pop-up food vendor that shows up on certain days in the Window on 1599 Howard and 12th Street and DaDa on 86 2nd Street on Market and Mission. 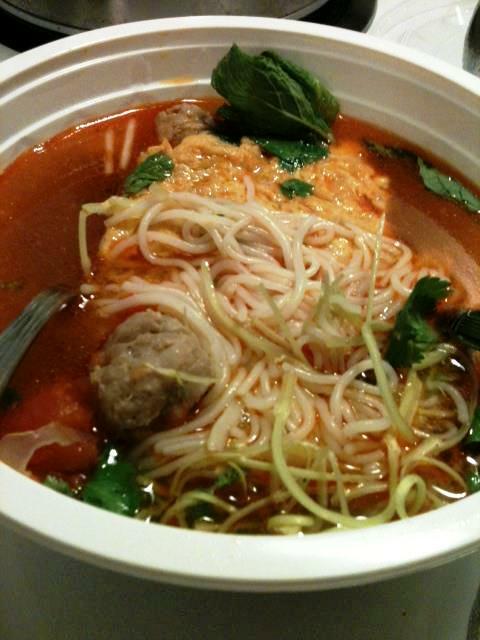 I arrived at DaDa just as the vendor was closing shop, but she graciously packed me up their signature Bun Rieu to go. I was told the crab and tomato broth does settle and render itself salty after a few hours and to dilute the saltiness add more water. Indeed, when I got home, I heated up the rich broth in a pot with a little more water and once it came up to the right temperature, poured it over the rice noodles, pork meatballs, water spinach and cilantro topped with a lovely crab omelette. The last two weeks was a walk down memory lane when I was working at the PR firm Hill & Knowlton. 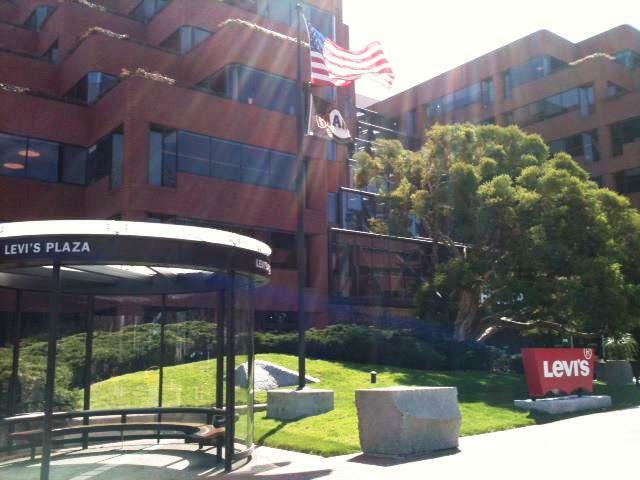 I used to work for the Regus Group, a business solutions company with properties around the world, and one of its centers was located in the neighborhood near Levi’s headquarters. I took the opportunity to visit with my old manager and friend who gave me helpful advice. As I took a shortcut through Levi’s Plaza to the Regus center, the Starbucks, where I used to take refuge, is still housed there, as well as RJs, the pricey grocery store and deli across the uneven, bumpy street I crossed on Sansome where I nearly killed myself in heels. The thoughts that entered my mind were how most of my career was a baptism of fire, and now that I have a sense of perspective, I realize it is all a learning experience with plenty of interesting and funny stories behind it. For instance, the closest I came to ever working for Levi’s was temping in its accounting department and moving merchandise, even operating a forklift, in its factory now museum on Valencia Street. The latter was a rare joy. Not only was I comped a pair of pre-branded jeans, but how many could really say they walked the cavernous historical warehouse on their resumes. Anyway, the point is if I had planned my career more strategically and had a mentor to guide me, I would probably be better off. However, for someone so eager to be grown-up when I was in school, I would have missed out on meeting the people I encountered and unique moments as a younger worker in the jobforce. I would lose out on the proverbial music between the notes put simply by John Lennon’s verity that life is what happens to you while you’re too busy making plans.